So I thought it was about time I did a layout of just Jayce. It is no secret that my partner and I like to have the occasional beer. And we are very fortunate that the pubs near us have children friendly zones, some even play areas and petting zoos. Anyway, the local had a huge Christmas festival that we wanted to take our kiddies to but by the time both kids were awake and happy we missed most of the action. But did manage to snap this photo of Jayce chilling out. 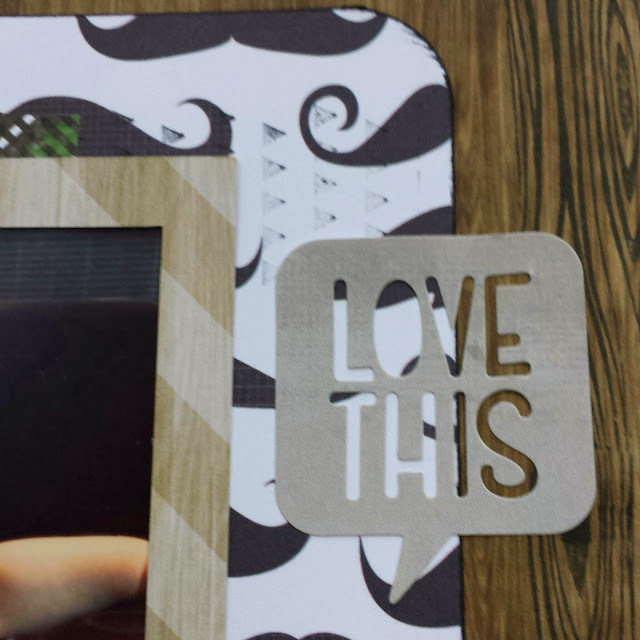 When I was looking back at my printed photos this one jumped out at me and once I saw the sketch at The Scrapbook Store (here) I knew it had to be scrapped Immediately! 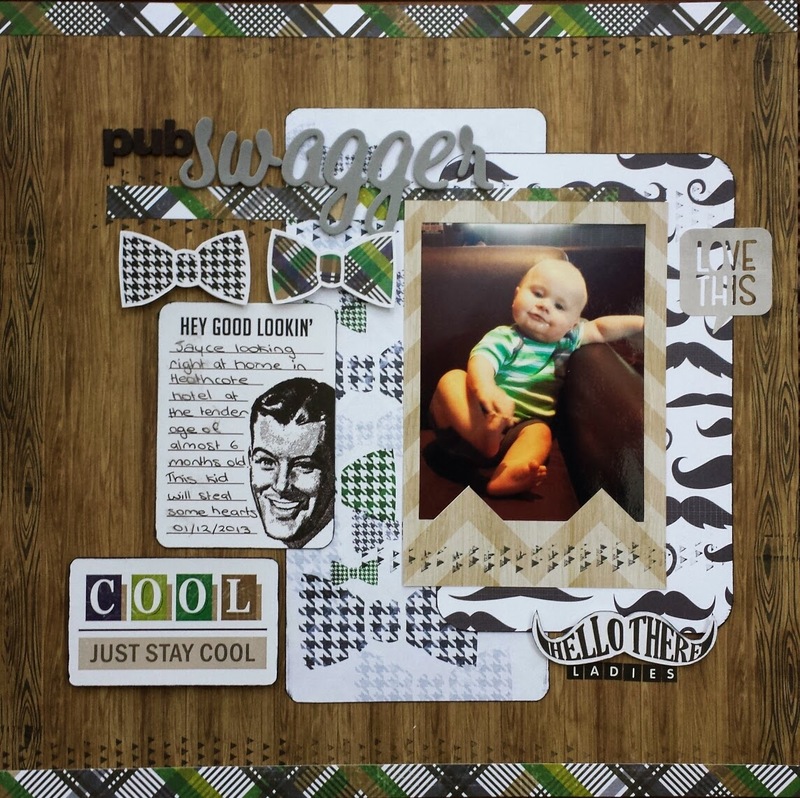 Glitz Designs 'Dapper Dan' was the absolute perfect match with this layout. Both for the colours and styling. The sticker below sealed the deal! I had all the elements to this page cut and arranged but something was stopping me from sticking it all down, it needed something and I wasnt sure what. 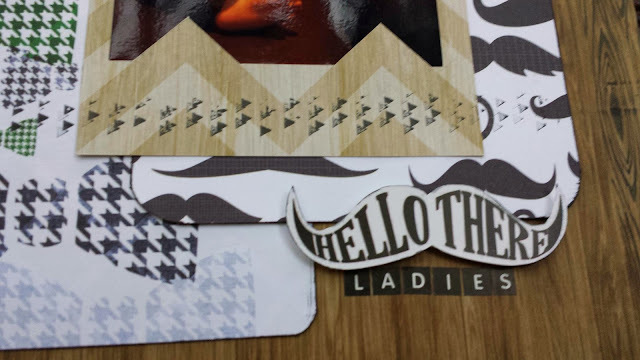 So I headed over to the Glitz Design company blog for a bit of inspiration where I discovered their month challenges, one of which to use a roller doodle on your project. I had my answer! I have used two different roller doodles the woodgrain along the vertical edge and the triangles as a horizontal element on the page. Once I'd used the roller doodles I was able to happily glue it all into place. Mothers you may want to lock up your daughters when this guy will be allowed to hit the town!! Adorable! He looks very comfortable there! 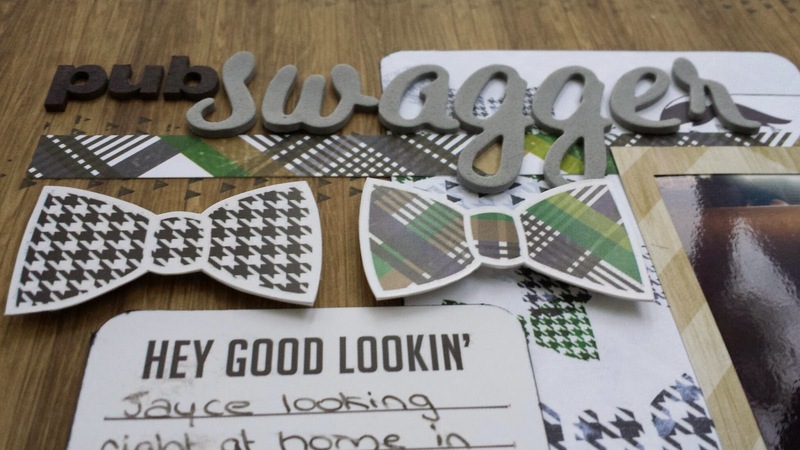 A great use of the papers and die-cuts. Oh my goodness....he is such a cutie!!! Great use of the Dapper Dan collection! Congratulations on your layout being picked as part of our Top 5 in the March project challenge!! He's looking right at home Nic. 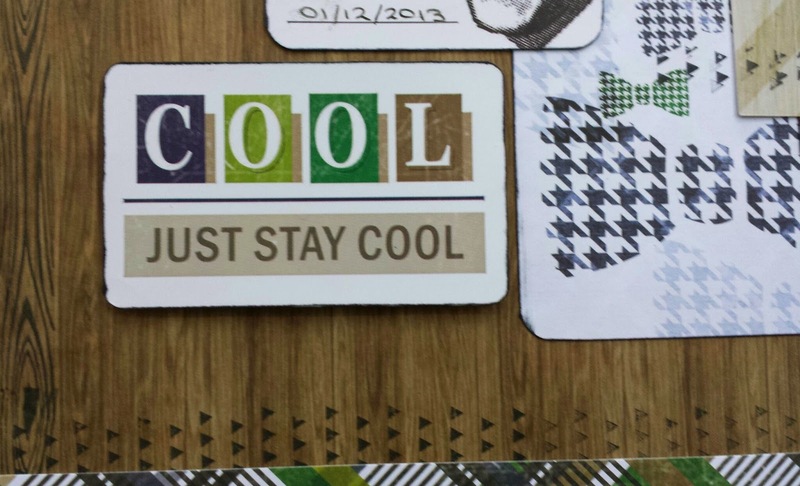 Not sure that's actually a good thing! Love the page. You have blended the colours well. I love the roller doodles. The touches of green in the words really helps highlight the green in Jayce's t-shirt. Well done.